Siracusa was founded in 743 BC by Corinthians from Greece. Better known as the Greek city-state of Syracuse, Siracusa was the most important part of Hellenic Sicily. Syracuse was the city of Archimedes, Pindar and Aeschylus and was almost as important as Athens was to the Greek world. The Temple of Apollo was also built in Siracusa in 565 BC. .
By 397 BC, at least 20,000 people lived in the city-state of Siracuse, which had withstood a series of attacks by rival Athens and Carthage, making it one of the largest and most prosperous cities of its day. In 212 BC, the Romans took over Siracusa, marking the beginning of a long decline for the area. The Romans, as they did elsewhere, quickly put their stamp on the landscape, including building the largest ampitheater outside of Rome and Verona in the province. The Romans also quickly made Siracusa a favorite vacation spot, building magnificent villas, all of which were destroyed when the Goths and Visigoths invaded in the 5th century AD. They were rapidly followed by the Byzantines in 535 SD and then the Arabs. Unlike most of Sicily, the Arabs were not kind to Siracusa, completely decimating the city and plunging it into a dark age that lasted until the Normans arrived in the 12th century. Following the Normans was another group of French, so hated that they spawned the War of the Sicilian Vespers, which ushered in Spanish rule. During this time, the plague wiped out most of the population in the 14th century and extinguished much of the energy of Siracusa. The Spanish rule lasted until the Bourbons arrived in the 18th century, followed by the union of Italy under Garibaldi in the 19th century. 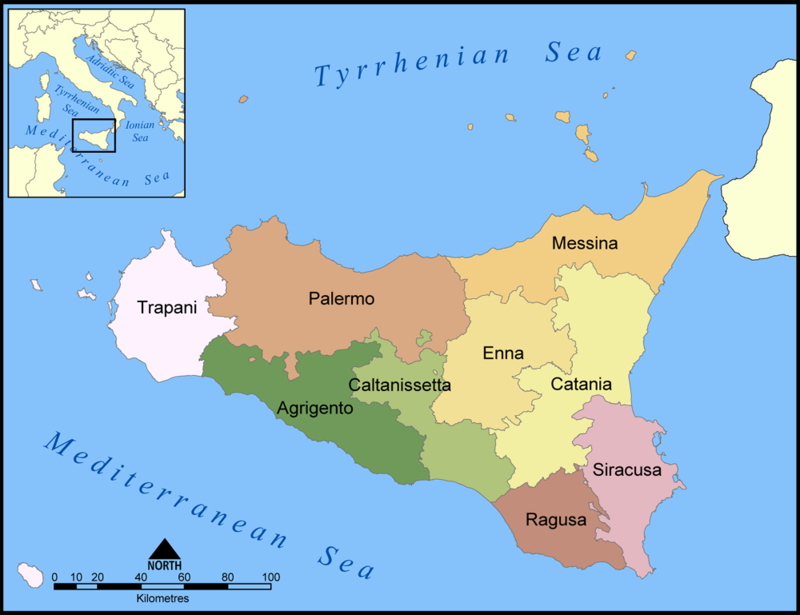 The southernmost part of Sicily, parts of Siracusa are actually south of the tip of Tunisia. There is therefore an African influence on the cuisine. Pachino, right on the tip of the Siracusa peninsula, is home to a special hybrid cherry tomato called the Pachino tomato. It has a richer, more intense flavor than most cherry tomatoes. Everywhere on the island are endless miles of artichokes, fennel, zucchini, spinach, eggplant, tomatoes, and lettuces of all kinds, not to mention authentic oceans of lemons, oranges, mandarins, prickly pears and figs. Tuna and swordfish catching and canning are also important cottage industries in Siracusa. Other seafood such as grouper, spoonbills and cuttlefish are also part of the local diet. Fresh and smoked swordfish and tuna are local staples, scrumptious large oysters are farmed in the clean, clear waters of the bay, as are shrimps, clams, mussels and any number of fish. Given the heavy Greek influence on the province, it is logical that there are many magnificent Greek ruins to see in Siracusa, including the Greek Theatre (the largest in Sicily capable of seating 15,000), the Temple of Athena, the Tomb of Archimedes and the Altar of Hieron II. A Roman ampitheater dating from the 3rd centrury BC was the largest outside Rome and Verona and the scene of plenty of bloody gladiator battles and other sports of the time. Beautiful coastline and beaches abound in Siracusa, offering wonderful resorts. The beaches of Arenella and Fontane Bianche offer great sunning and swimming, from mid-April through October, in waters consistently rated among the cleanest in Italy. Pachino is also a resort and fishing town with clean beaches and beautiful water. The Vindicari Nature Reserve, established in 1984, is one of the most beautiful parts of the province. Pachino also has the Cave of Calafarina, a natural wonder which has paintings inside that date back thousands of years.